As kids we all learned various coping skills. They came in handy when we didn’t get the attention we wanted from our parents and others or to block our pain and our fears. For a time these coping systems worked. But as the years progressed they can confuse and cloud our view of the truth of our lives. If we retained our childish methods of coping, our perceptions of reality became increasingly more unrealistic and distorted. Our coping skills could have grown into denial, and many of our relationships may have ended up broken or less fulfilling than they could have been. Did you ever deny that your parents had problems? Did you ever deny that you had problems? The truth is, most of us can all answer “yes” to these questions. For some of us, that denial turned to shame and guilt. Denial is the “Pink Elephant” sitting in the middle of the living room. They are the things no one in the family talks about or acknowledges. Do any of the following comments sound familiar to you? These are phases of DENIAL. To grow and mature we must first face and admit our denial. The D in denial stands for DISABLES our feelings. Hiding our feelings, living in denial, freezes our emotions and binds us. Understanding and feeling our feelings is where we find freedom. The basic test of freedom is not what we’re free to do, it’s what we’re free not to do! We find freedom to feel our true feelings when we find Jesus and step out of denial. The E stands for ENERGY lost. 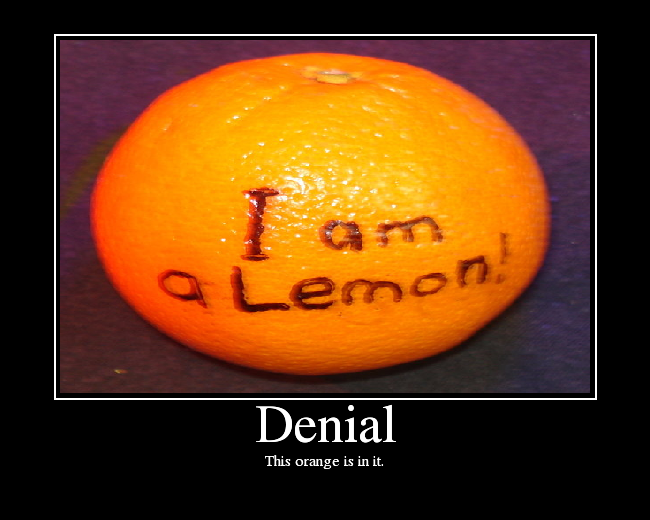 A major side-effect of denial is anxiety. Anxiety causes us to waste precious energy dealing with past hurts and failures and the fear of the future. It is only in the present that positive change can occur. Worrying about the past and dreading the future makes us unable to live and enjoy God’s plans for us in the present. We let our fears and our worries paralyze us, but the only lasting way we can be free from them is by giving them to God. If we will transfer the energy required to maintain our denial into learning God’s truth, a healthy love for others and ourselves will occur. As we depend more and more on Jesus Christ we will see the light of truth and reality. The N stands for NEGATES growth. We are as sick as our secrets and we cannot grow until we are ready to step out of our denial into the truth. God is waiting to take our hand and bring us out. “They cried to the Lord in their troubles, and he rescued them! He led them from the darkness and shadow of death and snapped their chains” (Psalm 107:13–14, TLB). Eventually we come to understand that God never wastes a hurt; God will never waste our darkness. But God can’t use it unless we step out of denial into the light of His truth. The I stands for ISOLATES us from God. “The woman you put here with me—she gave me some fruit from the tree” (Genesis 3:12). First he tried to blame God, saying, “The woman you put here with me …” Then he tried to blame it on Eve: “She gave me some fruit.” God’s light shines on the truth. Our denial keeps us in the dark. The A stands for ALIENATES us from our relationships. Denial tells us we are getting away with it. We think no one knows, but they do. But while denial may shield us from the hurt, it also keeps us from helping ourselves or the people we love the most. We don’t dare reveal our true selves to others for fear of what they will think or say if they knew the real us. We must protect ourselves—our secrets—at any cost. So we isolate ourselves and thereby minimize the risk of exposure and possible rejection from others. But at what price? The eventual loss of all our important relationships. It is always better to tell the ugly truth rather than a beautiful lie. Finally, the L stands for LENGTHENS the pain. We have the false belief that denial protects us from our pain. In reality, denial allows our pain to fester and grow and to turn into shame and guilt. Denial extends our hurt and multiplies our problems. Truth, like surgery, may hurt for a while — but it cures.